Matt Bayles is a Seattle-based producer/engineer. 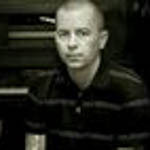 In the past 15 years he has recorded and produced multiple records for Mastodon (including 2006’s Grammy-nominated “Blood Mountain”), Isis, Botch, and Minus the Bear. He has worked with artists such as Laurie Anderson, Pearl Jam, The Sword, and dozens of others. Matt also owns Red Room Recording, his studio in Seattle.